Fans & cooling section on Export Portal is the cool -est place for PCs and laptops. 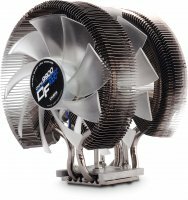 Import and export cooling parts your region or other ones. Sell Fans & cooling online made up from different shapes of plastics and metal. Buy Fans & cooling online that works by air or liquid. Do your business on Export Portal. This platform do has the possibility to multiply your profit on a worldwide scale.